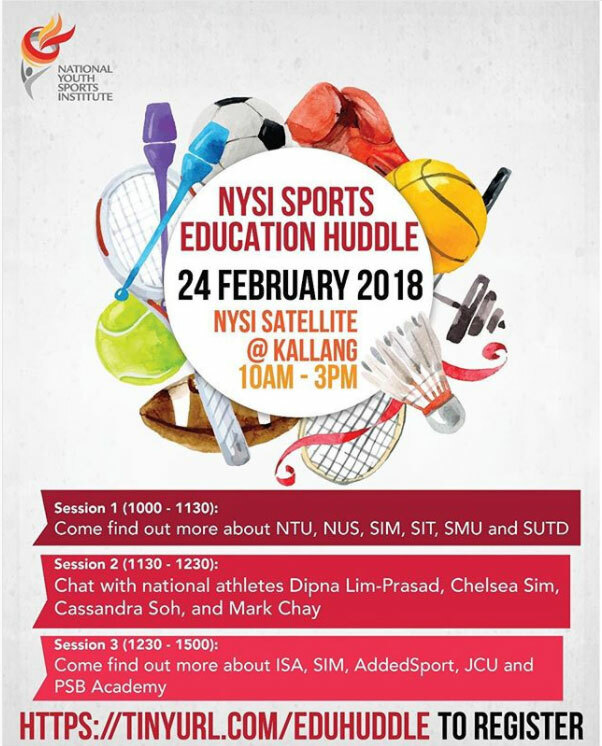 National Youth Sports Institute (NYSI) would like to invite student-athletes and their parents to the NYSI Sports Education Huddle on 24 February 2018. This Huddle will allow student-athletes will get a chance to hear from both local and private education institutions about their university sports and student life. 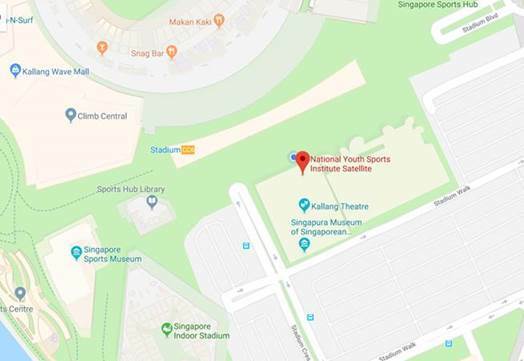 Student-athletes will also get a chance to hear from ex-national athletes from the Singapore National Olympic Council (SNOC) Athlete’s Commission to gain insights into how they succeeded as student-athletes. This session will allow student-athletes to gain insights into university student-athlete life, how universities support their student-athletes for training and competition locally and overseas, and sports interest groups. This session will allow student-athletes to interact with current/ex-national athletes from various sports, to understand how they balanced sports and studies. *Note: For session 1 & 2, it will be a discussion forum between the student athletes and the presenters regarding sports and university life. For more information regarding entry requirements into the universities, the student-athletes should visit the respective institutions’ websites. Interested participants are required to sign up for the event via this link (https://tinyurl.com/eduhuddle). Slots are based on a ‘first come, first served’ basis.